Evolution of a GMBD's Pup! The Humble Beginning of Got My Back Dobermans! Serious and Majestic, my current and proven breeding pair have produced... well, some seriously majestic pups of both sound mind and body. Many photos of their offspring can be seen in the blogs and individual puppy pages associated with past litters. 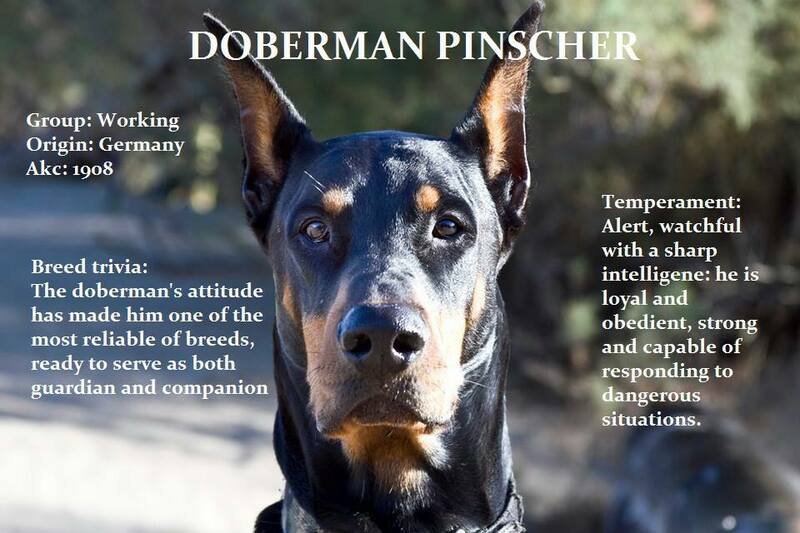 Testimonials on my testimonial page attest to loving and stable temperaments fulfilling one of my highest ranking goals as a Doberman breeder. I hope to maintain if not improve that trend with my up and coming girls, bred for keeps Remedy and my come back girl Skye, who pending favorable health screenings, will enter my breeding program in 2017. All are loving, protective, easily trainable and beautiful. And each carries an outstanding A.K.C. Pedigree! Our most recent additions Ritz, an import from Greece and Getka, imported from Belarus are currently enjoying puppyhood, the process of socialization and their basic training. ​Ritz and Getka, carry incredible F.C.I. Pedigrees and will be registered with A.K.C. and undergo appropriate breed specific health testing prior to reaching breeding age. As my breeding program evolves it's been decided to concentrate my efforts on producing Dobermans of European heritage with continued emphasis on health, longevity and temperament. Beauty is a bonus! We are located in Sunny North Central Florida and concentrate on breeding quality Doberman puppies for quality pet owners. My dogs are part of the family. They're house companions who enjoy the couches and their turn on the bed. They're also my farm dogs who during the course of the day have ample room to run while providing the moral support I need to get through my daily activities. Most importantly they are loved! ​Keeping my breeding down to a respectable minimum allows me to not only give the adults the time and attention they need and deserve, it also allows for the opportunity to socialize my pups and litters appropriately. From day one until they leave my home to join yours, my litters are not sheltered but exposed to everyday noises, other dogs and a cat and are allowed to play in and about a crate before finally being introduced to the great outdoors at about four weeks of age. ​At that point and forward, (weather permitting) they enjoy daily supervised outings and begin their journeys to becoming confident, well balanced, Dobermans!